I think I've said it before, but kids grow fast! That means lots of clothes, so any way that I can come up with to get more use out of them, I use. This spring, as I was organizing my kids clothes into boxes, I found some jeans that were hardly worn, mostly because the waist was too big for my kids when they were that size. They were size 18 months. My 6 year old is small for her age (she wears about a 3T in pants for height, but her waist is small). She tried on the jeans and they fit perfectly around the waist but were a good 6 inches too short. She says "I could wear them as capris!" 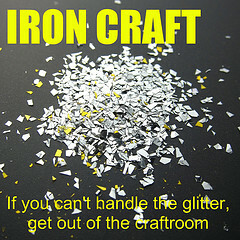 (little did she know that was exactly what I'd been thinking!). So, I added a little lace around the hem of the legs (to make them look more like Capris than pants that are too short) and now she's able to wear them yet again (the first time we had to have a safty pin in the waist because they were too big). There was another pair of jeans that was similar, those I added little bows to the outside edge of them to jazz them up and to make it look more like Capris. We could also cut them off, but I always have trouble getting hemmed denium to look like the original hem, since it's never faded the same. Since my oldest daughter is tall for her weight, we really have problems finding clothes that fit. She loves dresses, fortunately, so she usually wears them or skirts, but she usually outgrows them height wise first. So, on some, I add a ruffle. One one that had some embroidery around the bottom, I cut the bottom 4 inches or so off, added some coordinating fabric to the bottom of the dress and then sewed the piece with the embroidery to the new fabric, so there was a stripe in there. So those are two things that work for us to get more life out of kids clothes. 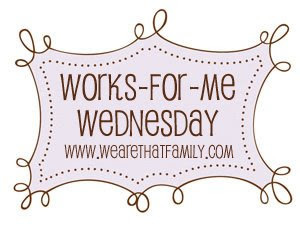 Check out more great tips on the Works for Me Wednesday post at We Are That Family.